No two victims are alike. DI Marnie Rome knows this better than most. Five years ago, her family home was the scene of a shocking and bloody crime that left her parents dead and her foster brother in prison. Marnie doesn't talk much about her personal life - not even her partner, DS Noah Jake, knows much about Marnie's past. Now Marnie and Noah are tackling a case of domestic violence and a different brand of victim. Hope Proctor stabbed her husband in desperate self-defense. A crowd of witnesses in the domestic violence shelter where she's staying saw it happen, but none of them are telling quite the same story. Marnie and Noah shouldn't even have been there when it happened, but they were trying to get another resident to testify against her brothers for pouring bleach on her face and blinding her in one eye. 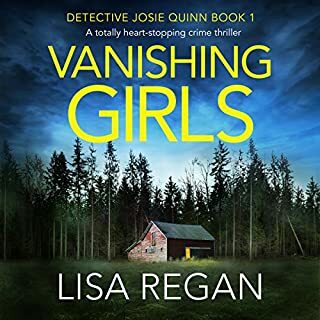 As the violence spirals, engulfing the residents of the women's shelter, Marnie finds herself drawn into familiar territory: A place where the past casts long shadows and where she must tread carefully to survive. 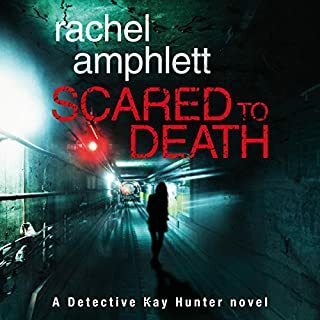 The narrator, Justine Eyre, uses an odd sort of breathy voice style that did very little for me in terms of overcoming the faults of the book, but I did not find it prevented me from listening to the book. A man is stabbed in the chest when he enters a women's shelter where his wife is staying. One of the two detectives who arrive shortly after on an unrelated case is able to save the man's life and he is taken to the hospital for further treatment. His wife, who stabbed him, is also transported to the same hospital for treatment. In this book the detectives are asked to examine their assumptions about abusers and their victims. It's interesting at the start and at the end, but in the middle there is an episode of torture that was essentially tedious. It could have been powerful, but just went on too long. Sometimes less is more. 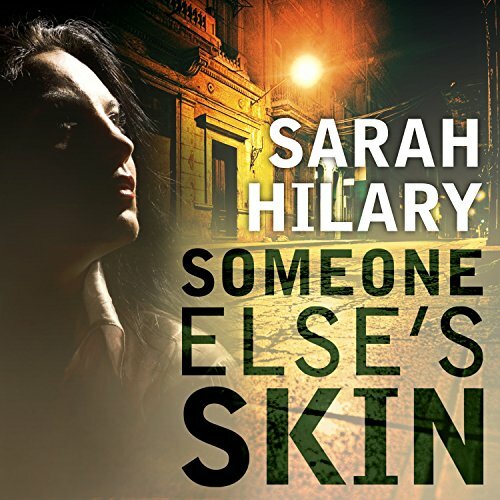 Sarah Hilary has written a book that deals with difficult to hear about topics of domestic abuse. 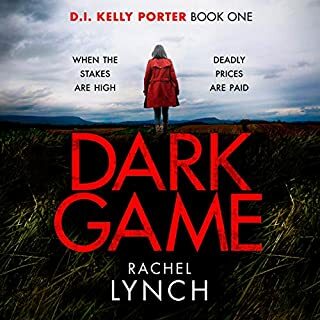 Detective Marnie Rome & her partner Noah Jake have come to an abused shelter to interview a woman about an incident she was involved in--but upon their arrival, another crime is occurring there they must respond to. What starts out as an ordinary attempt to do an interview blows up into a story that leads into unexpected and dark places. This book is a challenge to read/hear, in one way, because the author has taken on issues of domestic abuse from a variety of perspectives, and made it clear that this is a social issue people should pay more attention to. There is no doubt that any of the events of the book could actually happen. Being involved in this investigation also leads Marnie to have to confront some horrible ghosts of her own past. 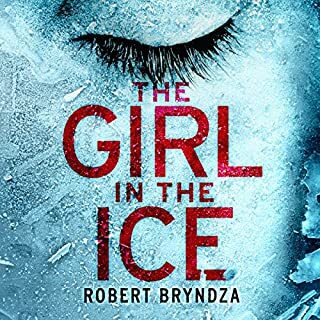 The writing is very good, but the reason I only gave it 4 stars instead of 5, is that the various threads of the book seem to be unrelenting chases after the criminals, with almost no other, lighter story that might bring some relief to the reader/listener at times. Even when the story does shift to Marnie as she is developed as a character, it remains very intense. This entire book is a reminder of the depths of pain and abuse humans can inflict upon each other. Don't get this wrong--this book needed to be written; people need to be aware of what can take place behind closed doors anywhere. But I felt it was intense from beginning to end--with almost no let-up. I only gave 4 stars to Justine Eyre's narration because her voice is very soft. I listen on my tablet, and could scarcely hear it--I finally had to hook it up to an external speaker. So this might not be a problem for everybody, but it was for me. I'm not sure why the editing didn't correct for this before it was released. This is truly a very good book--I just wanted to explain why I didn't give it all 5 stars (which it probably deserves in many ways--the writing, itself, is excellent, but I found it hard to listen to constant, unending situations of violence). What disappointed you about Someone Else's Skin? This book definitely wasn't for me, but someone who's interested in gay romance novels might like it. About 4 or 5 chapters in it's introduced with a main character. Sorry, not my thing. What could Sarah Hilary have done to make this a more enjoyable book for you? I picked this audio book up because I really enjoy Justine Eyre reading to me. This was my first Sarah Hillary book and I really enjoyed it. I will start by saying that this book was a little slow to begin with. But like every good book you have to world build. There was a lot of world building and us learning about DI Marine Rome. As the story went on we learn more and more about Marine. We get to see into her mind and how she solves cases. We also get to see how she handles personal issues. I really liked DI Marine Rome and would want her on any case I was involved in. The case of side characters are very interesting too. I don’t want to give anything away by telling you what happens. But at the end of the book I kept waiting for more of the story. I was driving and the end came and I yelled at my stereo “Wait, What??? You’re not done!!!! Keep going”. I didn’t want the story to end. I wanted to know what happens next. I am looking forward to the next adventure the Rome and her detectives go one. I purchased this book from Audible.com and this review is my own opinion and not a paid review. Big Disappointment - Wish I hadn't Bought it! I'm often persuaded by other reviews to try a book I'm not familiar with. In this case, I wish hadn't been persuaded. I like British mysteries because they often focus less on violence than their American counterparts. Not true for this story. I don't mind the fact that violence occurs - that's inevitable in a murder mystery. But I don't want to hear about it in excruciating detail, especially when I"m listening to the book and can't fast forward through the parts I'd rather skip. This book started out slowly for me - so slowly that I almost stopped listening. I liked the main character enough to keep plodding through, but I thought about quitting several times and I rarely quit before finishing a book. 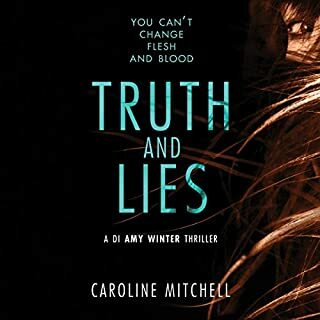 Once the story picked up I began to enjoy it - but my enjoyment was spoiled by detours into the point of view of some really disturbed characters, and excruciating detail of violence and torture. It's not as bad as many other books I'm sure - so if you don't mind descriptive violence/torture this may not be an issue - but if you're like me and want to have the mystery without a blow by blow of the horrible things people do to each other - give this book a pass. I finally sped up the listening speed so I could find out what happened in the end - but I just didn't want to hear all the nasty details. I give the book a 2 instead of a 1 because I did actually like the main character and her side kick - and the story itself was fine, but could have been told without bludgeoning the reader along with the characters. The narrator started out so breathless and intense that alone almost made me stop listening. She either calmed down or I got used to it. Overkill for both author and narrator. There are so many better books out there I'm sorry I wasted my time on this one. A kind of breathy whining with little varaiation. Horrible! Will read this on the kindle instead as the books came higly recommended.